What was happening with the American zeitgeist in 1989 that led to the swing revival? Was it the fall of the Berlin Wall and the impending end of the Cold War? Was it the economic recession of '89 and '90? 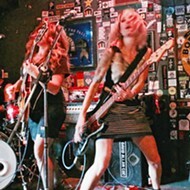 Was it a desire for a retro alternative to the ubiquitous LA metal hairbands or the Pacific Northwest grunge movement? I don't know, but 1989 saw the formation of Royal Crown Revue, Lavay Smith's Red Hot Skillet Lickers, and Big Bad Voodoo Daddy. Suddenly neo-swing was everywhere! 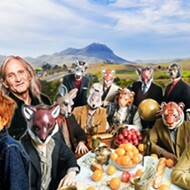 Swing Kids (1993) celebrated Nazi Germany youth in love with U.S. swing music; Jim Carrey's The Mask (1994) featured a performance by Royal Crown Revue. Big Bad Voodoo Daddy appeared in the terrific neo-lounge-scene satire Swingers (1996). Clubs like LA's The Derby and San Francisco's Club Deluxe became full-time neo-swing clubs. JUMP AND JIVE! 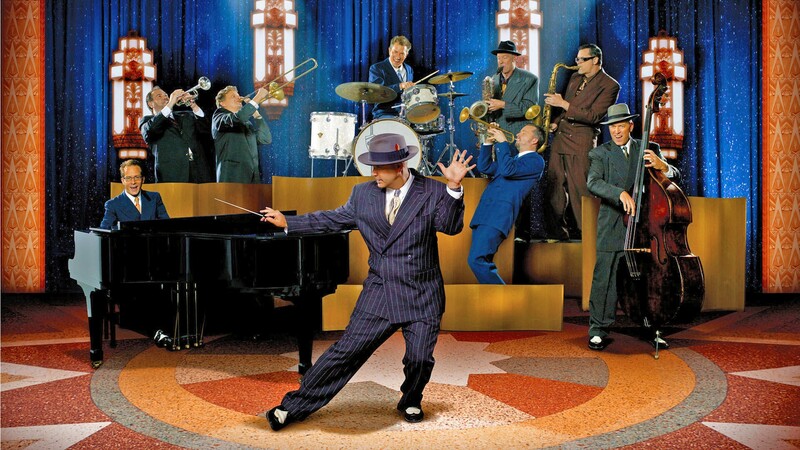 Neo-swing act Big Bad Voodoo Daddy brings their horn-driven dance sounds to the Live Oak Music Festival on June 16. Swing has since become a timeless genre imbued with joy, sass, and sly sexuality. Watching West Coast, East Coast, and Lindy Hop swing dancers brings me unmitigated happiness. That's why I'm super excited for Big Bad Voodoo Daddy's Saturday, June 16, appearance at this year's Live Oak Music Festival, scheduled from Thursday, June 14, with a special concert by feel-good rocker Michael Franti and Spearhead through Sunday, June 17, with gospel and R&B legend Mavis Staples, and tons of great music in between including roots rocker JD McPherson, Americana singer-songwriter Joe Purdy, Brazilian bossa singer Flavia Coelho, Americana soul act The Dust Bowl Revival, contemporary folk artist Eilen Jewell, and about 20 more. Visit liveoakfest.com for ticket prices, camping possibilities, and complete info about this annual fundraising event for Central Coast public radio station KCBX 90.1FM. PLAYING FOR MONTE New Times Music Award-winner Wordsauce headlines a three-band fundraising concert for local music ambassador and Guillain Barre Syndrome sufferer Monte Schaller on June 7, at The Siren. If you've been to The Siren or used to go to SLO Brew when it was on Garden Street or attended a Good Medicine Presents show, you might have run into Monte Schaller, who currently works as the general manager at The Siren. He's the go-to guy who keeps things running smoothly, and he recently hit a patch of bad luck. On April 25 of this year, he was diagnosed with Guillain Barre Syndrome, a rare disorder that causes your body's immune system to attack your nerves. It starts with tingling in your extremities but can lead to full-body paralysis! Monte's since been released from Sierra Vista hospital and is receiving treatment and will hopefully be able to manage the disease, but lost wages, medical bills, and ongoing physical therapy will incur a lot of expenses. Monte needs our help. If you can afford it, you can donate to his gofundme.com/rally-for-monte page. As of June 5, he'd raised $12,568 of a goal of $20,000. You can also show your support this Thursday, June 7, by attending the Rally for Monte at The Siren (7 p.m.; 21-and-older; $10), with Wordsauce, Mama Tumba, and The Turkey Buzzards performing. The fundraising concert is brought to you by The Siren and Numbskull and Good Medicine Presents. Monte's a good man, a terrific father to his son, River, and a true ambassador for the Central Coast music scene. Let's make him right! Numbskull and Good Medicine have a bunch of other shows lined up this week, including the always-amazing baritone The White Buffalo, aka Jake Smith, who of his newest album said in press materials, "I've always loved the combination of things that are really beautiful and things that are really dark or heavy. There's a lot of that on this album." This mountain of a man exudes gravitas, and his live show is amazing. If you're in Santa Maria, you can see him play Presqu'ile Winery on Friday, June 8 (doors at 5:30 p.m.; all ages; $22 presale at ticketfly.com and Boo Boo's, or $25 at the door). If you're in Los Osos, he also plays Sweet Springs Saloon on Sunday, June 10 (7 p.m.; 21-and-older; $23 presale at ticketfly.com and Boo Boo's, or $25 at the door). 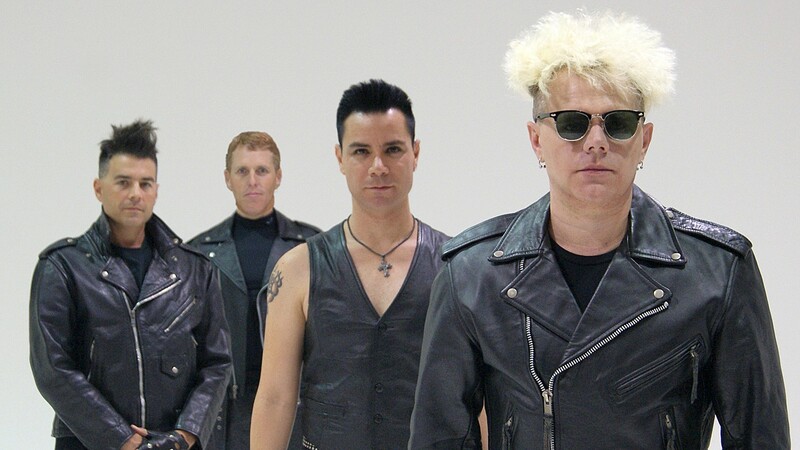 JUST CAN'T GET ENOUGH Depeche Mode fans take heart; tribute act Strangelove plays The Siren on June 8, delivering a dose of synth-driven '80s dance pop. "I'm not a rock star, and I don't have a huge machine behind me," Smith added. "I'm just a guy who's trying to do my job and bring something home for my family. I don't have an agenda. I'm just trying to write good songs that make people feel something." Strangelove: The Depeche Mode Experience plays Friday, June 8, at The Siren (8 p.m.; 21-and-older; $20 presale at ticketfly.com and Boo Boo's, or $25 at the door). This will be a big show for a little club because Strangelove offers a theatrical stage production with multiple projection visuals that will "assault the euphoric concertgoer's senses and further the illusion that they are witnessing an actual Depeche Mode concert," the band's bio says. WINTER IS COMING Iconic rock and blues multi-instrumentalist Edgar Winter plays The Siren on June 10. 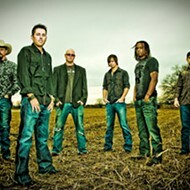 Cash'd Out, the excellent early-era Johnny Cash tribute, comes to Tooth & Nail Winery on Friday, June 8 (6 p.m.; all ages; $20 presale at ticketfly.com and Boo Boo's, or $25 at the door). With 150 Cash songs in their repertoire, chances are even if you've seen them, you'll hear something new. Numbskull and Good Medicine's biggest show this week might be multi-instrumentalist Edgar Winter, who plays Sunday, June 10, at The Siren (7 p.m.; 21-and-older; $35 presale at ticketfly.com and Boo Boo's, or $40 at the door). The Texas-born child prodigy plays keyboard (usually hanging by a strap from his neck), guitar, saxophone, and percussion. Both he and his brother Johnny were born with albinism, and both distinctive-looking men reached great heights in the music biz. 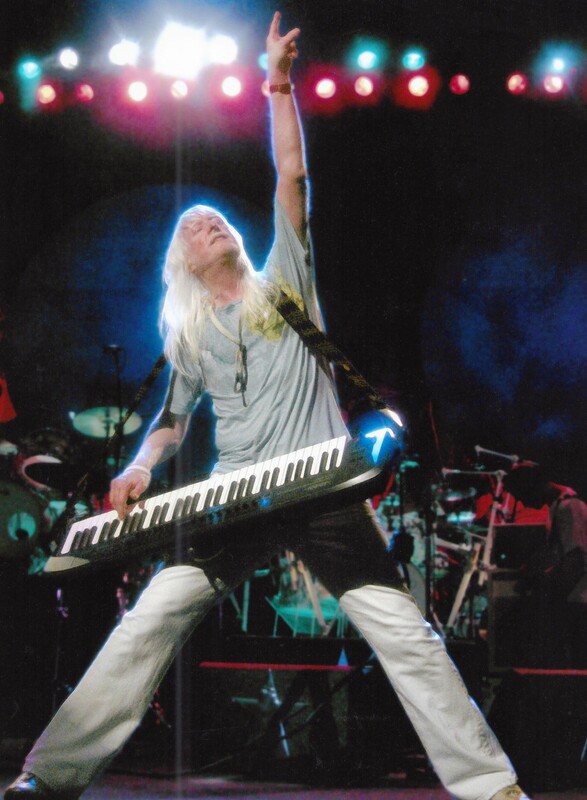 He and his band The Edgar Winter Band are perhaps best known for the songs "Frankenstein" and "Free Ride," and though his career peaked commercially in 1972 with the No. 3 album They Only Come Out at Night, he's continued to make great music and tour regularly. This ought to be a terrific, intimate show. 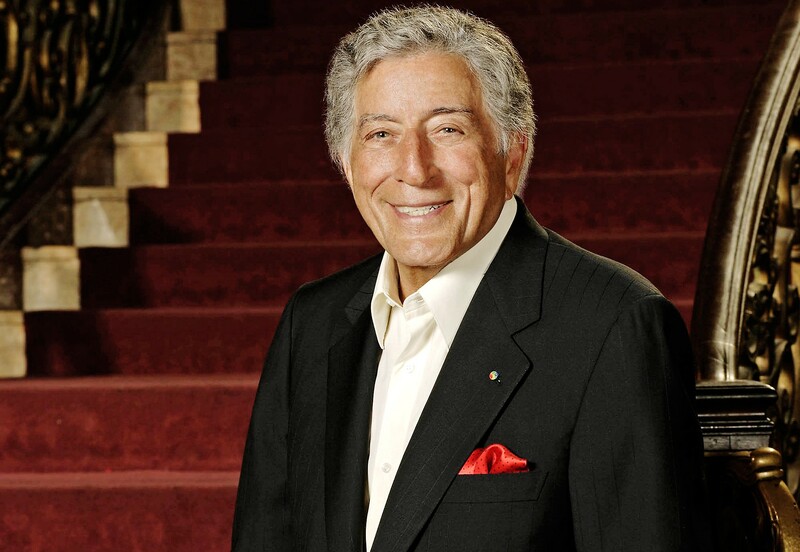 THE GOOD LIFE Iconic American Songbook crooner Tony Bennett returns to Vina Robles Amphitheatre for a Nederlander Concerts show on June 9. Iconic American Songbook crooner Tony Bennett returns to Vina Robles Amphitheatre for a Nederlander Concerts show on Saturday, June 9 (8 p.m.; all ages; $61.75 to $131.75 at vinaroblesamphitheatre.com). Maybe somewhere hidden in a closet is a Dorian Gray-like portrait of Bennett, because at 91 years old (he'll turn 92 on Aug. 3), he still looks and sounds fantastic! I've seen his live show a few times now, and my only complaint is I wish he sang longer! He's had so many amazing hits during his career: "Because of You," "Cold, Cold Heart," "Rags to Riches," "Stranger in Paradise," "Smile," "The Good Life," "Fly Me to the Moon," "Anything Goes," "Climb Every Mountain," and his signature song, "I Left My Heart in San Francisco." The man's won 19 Grammy Awards, not to mention the prestigious Grammy Lifetime Achievement Award. In 2014, Bennett released Cheek to Cheek, a collaborative album with Lady Gaga. The album debuted at No. 1 on the Billboard Album charts. Bennett was 88 at the time, the oldest artist to top that chart ever! If you've never seen him live, don't miss it! Also at Vina Robles Amphitheatre, check out Symphony at Sunset on Sunday, June 10 (7 p.m.; all ages; $25 at vinaroblesamphitheatre.com). The Opera San Luis Obispo Grand Orchestra will accompany acclaimed soloists for an evening of pops under the stars. Expect classics, Broadway hits, and popular music ranging from Star Wars to the Beatles. Blue October is one of those rare optimistic and joyous-sounding alt-rock acts, which is probably why they've charted 10 heartstring-tugging Top 40 Hot Alternative singles since forming in Texas in 1995. 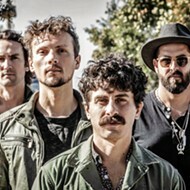 They play the Fremont Theater this Wednesday, June 13, with Kitten opening (8 p.m.; $28 at eventbrite.com or Boo Boo Records). With tracks such as "Into The Ocean," "Hate Me," "Home," "Calling You," "Dirt Room," "Say It," "The Chills," "Bleed Out," "Fear," "I Want It," and their most recent single "I Hope You're Happy"—this is a band that makes music people love at first listen. 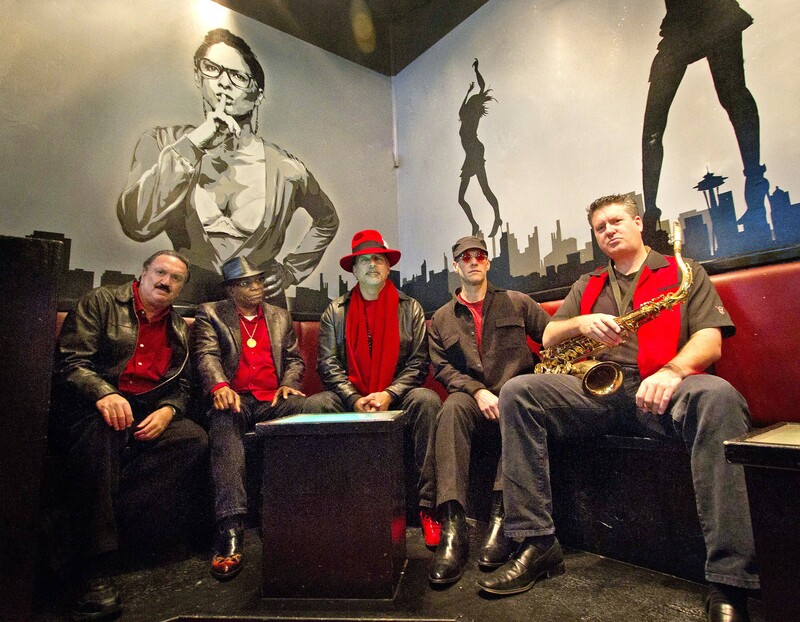 FUNDRAISERS DELUXE Funk and soul act Burning James and the Funky Flames plays two benefits this week, on June 9, at BarrelHouse Brewing for The Noor Foundation; and June 10, at Atascadero Lake Pavilion for Awakening Ways Spiritual Community. Concerts in the Plaza returns this Friday, June 8, with '80s cover band The Molly Ringwald Project (5:30 p.m.; all ages; free). This marks the 23rd season of these free community concerts. FYI—attendees are encouraged to bring their own reusable (non-glass) cups to the event, or purchase a commemorative "Concerts in the Plaza" pint for $10. For those attendees who forget to bring a cup, Firestone Walker Brewing Company beer will be available in cans. The Noor Foundation is the kind of organization that restores my faith in humanity. The volunteer-based nonprofit provides free health care for those uninsured or unable to pay. I'm not the only one moved by their good works. Burning James and the Funky Flames will play a fundraising concert for Noor this Saturday, June 9, at the Barrelhouse amphitheater stage, with fellow funk and soul act Steppin' Out (6 p.m.; all ages; $17 presale at slofunkfest.brownpapertickets.com or $22 at the door). Good music for a good cause by a couple of bands putting the unity into community! 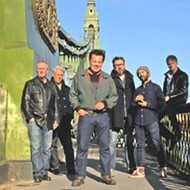 While they're at it, Burning James and the Funky Flames is also playing Sunday, June 10, at the Atascadero Lake Pavilion for the Awakening Ways Spiritual Community (2 p.m.; all ages; $10). Way to go, James! SONGBIRD The Arroyo Grande Village Summer Concert Series kicks off its 13th season with jazz, R&B, soul, blues, folk, and pop vocalist Nicole Stromsoe on June 10, at the Rotary Bandstand. 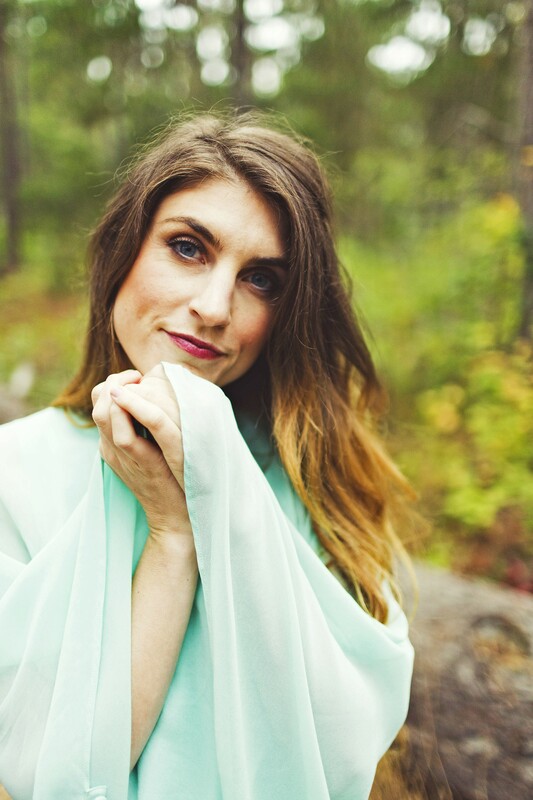 The Arroyo Grande Village Summer Concert Series kicks off its 13th season with jazz, R&B, soul, blues, folk, and pop vocalist Nicole Stromsoe and her amazing band on Sunday, June 10, at the Rotary Bandstand (1 p.m.; all ages; free). She's got an amazing set of pipes! A raffle, food, drinks, and free tours of historical buildings in Heritage Square Park are also available. The Famous Jazz Artist Series at Cambria's J. Buckley Theatre hosts legendary jazz guitarist Frank Potenza in concert this Sunday, June 10, during two performances (4 and 7 p.m.; all ages; $10 for students and $20 general admission; email charlie@talsanmusic.com or call (805) 927-0179 for reservations). 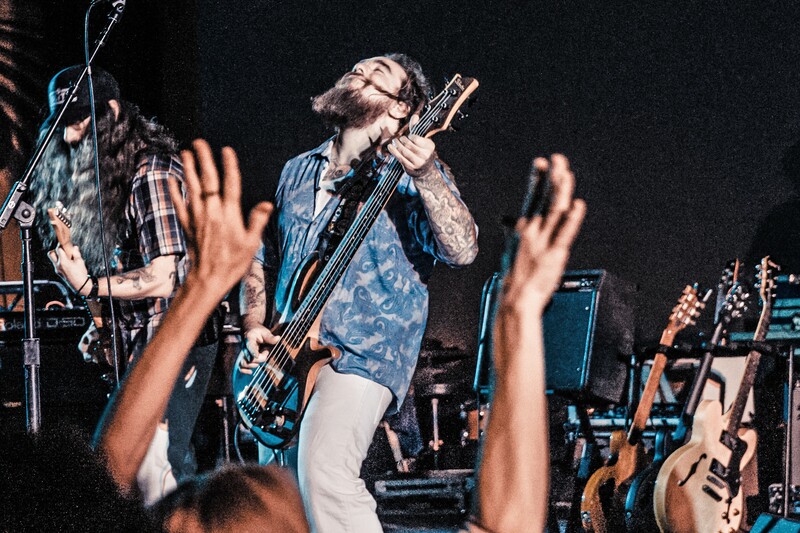 Series co-producers Charlie and Sandi Shoemake (vibes and vocals, respectively), Dylan Johnson (bass), and Darrell Voss (drums) will back Potenza. A special buffet as well as wine and beer will be available from chef Giovanni of the Harmony Café. 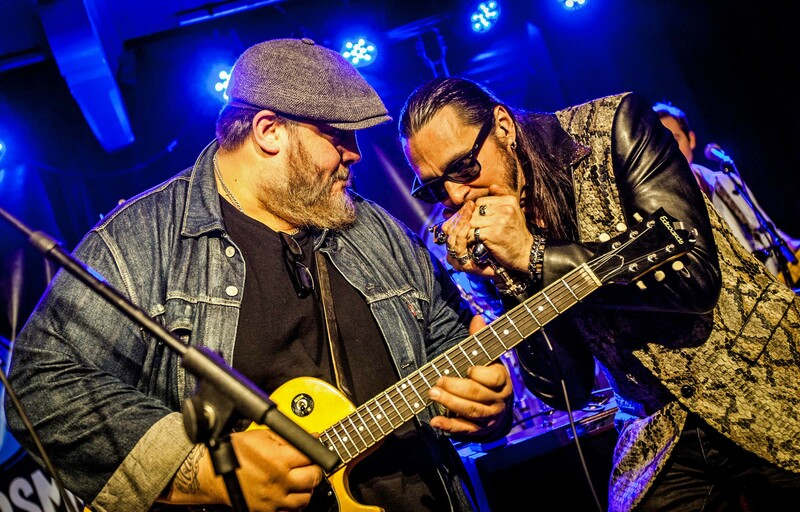 CHI-TOWN BLUES Alligator Records recording artists Nick Moss and Dennis Gruenling play The Siren on June 13.